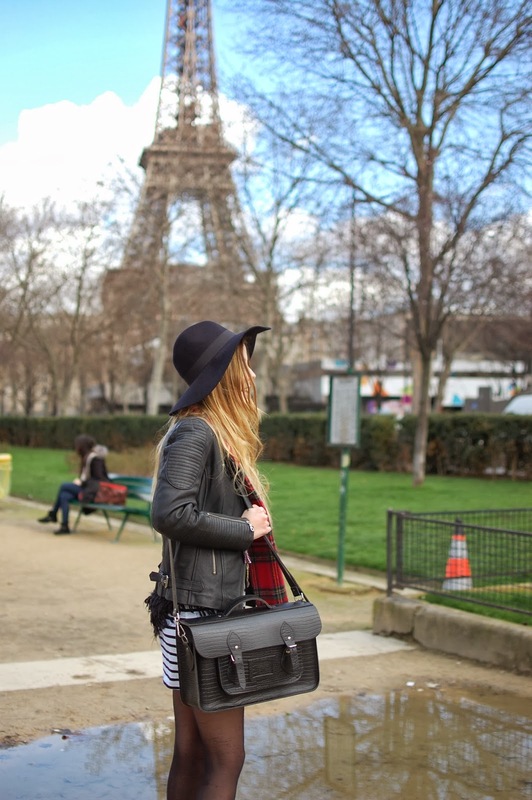 love your satchel and that leather jacket! I love this look, it's gorgeous! And I'm that annoying person too! Such a cute outfit, love your big hat and breton top! so beautiful. love your dress and it looks so great mixed with the scarf! Really lovely outfit, love the stripes and tartan. you are gorgeous! im inlove with your hair.